The idea that energy shapes and is shaped by geopolitics is firmly rooted in the popular imagination – and not without reason. Very few countries have the means to secure their energy needs through locally available supplies; instead, enduring dependencies upon other countries have developed. Given energy’s strategic significance, supply systems for fuels and electricity are now seamlessly interwoven with foreign policy and global politics. Energy and Geopolitics enables students to enhance their understanding and sharpen their analytical skills with respect to the complex relations between energy supply, energy markets and international politics. Per Högselius guides us through the complexities of world energy and international energy relations, examining a wide spectrum of fossil fuels, alongside nuclear and renewable energies. Uniquely, the book also shows how the geopolitics of energy is not merely a matter for the great powers and reveals how actors in the world’s smaller nations are as active in their quest for power and control. 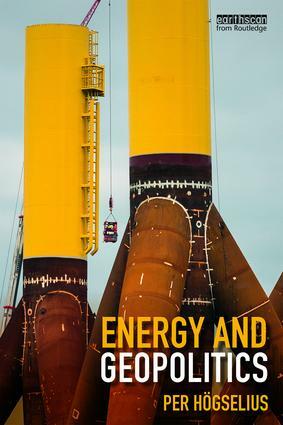 Encouraging students to apply a number of central concepts and theoretical ideas to different energy sources within a multitude of geographical, political and historical contexts, this book will be a vital resource to students and scholars of geopolitics, energy security and international environmental policy and politics.